Kuldhara village near Jaisalmer in western Rajasthan has a very unique history as per stories in western Rajasthan of India. 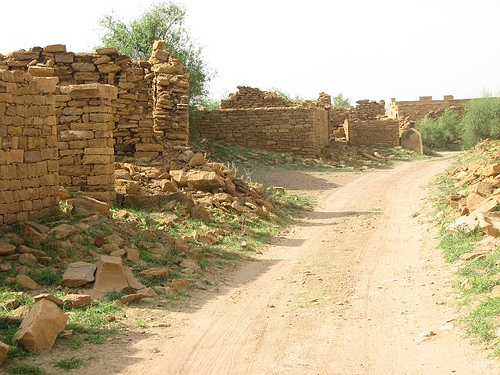 It is said that the residents of 84 neighboring villages including Kuldhara vacated the villages overnight around 170 years back! No one is sure where they have gone, but they are believed to have migrated to a place somewhere near Jodhpur. The residents were Paliwal Brahmans — said to be very intelligent, and residing there for about 500 years. So what made them do such an act? Stories say that The daughter of the village chief was a doe-eyed beauty. The notorious king of Jaisalmer happened to lay his eyes on this beautiful girl and wanted to take her as his wife. The king was famous for his debauchery and some loyal friend tipped the chieftain about his mal-intentions. The entire village of Kuldhara evacuated bag and baggage in one night and all that remained was an empty village without a single soul. When the Paliwals left the villages, they left a curse that nobody can inhabit the villages ever. 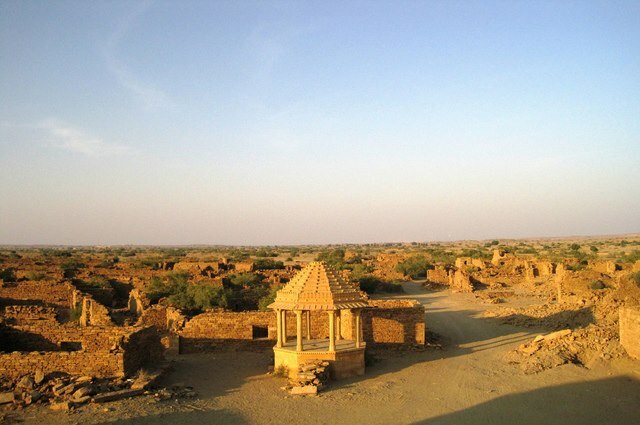 Residents of Jaisalmer say that there have been some attempts by some families to stay there, but they did not succeed.